Fortunately, there are already a few women who are making their mark as leaders in their manufacturing organizations. 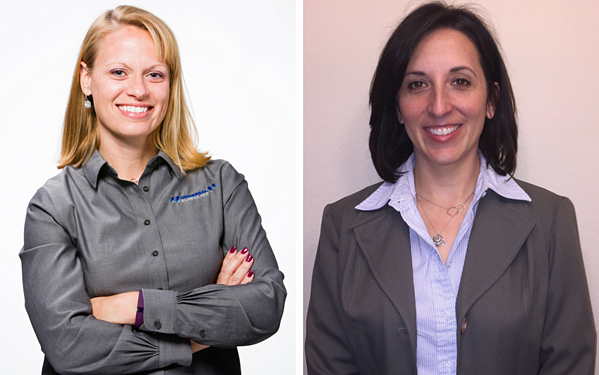 We spoke with two of them: Natalie Menke, president of Universal Blower Pac; and Paige D Bowen, President of Seelye Acquisitions, Inc., to get their insights on leading the way in manufacturing organizations and their advice for women looking to move into leadership roles. How did you get your start in manufacturing? Natale Menke (NM): My father was in manufacturing. After I graduated from college with a degree in mechanical engineering, I went to work for a consulting engineering firm. I loved the work and main client; however, I missed the actual manufacturing portion of seeing my designs come to life. Paige Bowen (PB): I was actually born into the industry. My father has been in the plastic industry for more than 50 years. He was the President of Seelye Plastics, Seelye, Inc., and Eiler Plastics in Minnesota. When I was old enough to start working during my summer and holiday breaks he had me come into his office and file, answer the phones, or do whatever needed to be done. As I got older, I worked and learned all the different positions throughout the plastic companies. In 1995, my father purchased Seelye, Inc, one of the leading manufacturers of hot air thermoplastic welders. In 1998, he moved the company from Minnesota to Florida. After I graduated college I also decided to move to Florida. I tried a few different jobs over the next couple years. Finally in 2000, I decided to come back to my family’s company and worked my way up from inside sales to president of the company. NM: Being able to design something then see it come to life is what drove me towards this industry. Designing solely on paper does not allow you to learn from real life mistakes compared to theoretical design. The manufacturing process provides more complications to deal with. However, controlling the whole process from design to a finished product provides a full service for our customers and that is very exciting to be a part of. PB: For me, it was truly an industry I knew. I have been involved in it since I was a kid, so I know the industry like the back of my hand. Another reason I chose to stay in the plastic industry is because I want to help find more environmentally friendly ways to use the plastic. I believe the best way to make changes and to help is by staying in the industry, continuing to learn new techniques and educating others about the benefits of plastics. What are the biggest misperceptions that women have about working in manufacturing? NM: The biggest misperception is that it is a man’s world and that it will be hard to work your way to the top. Women have natural caring and leading skills that can give us an edge. 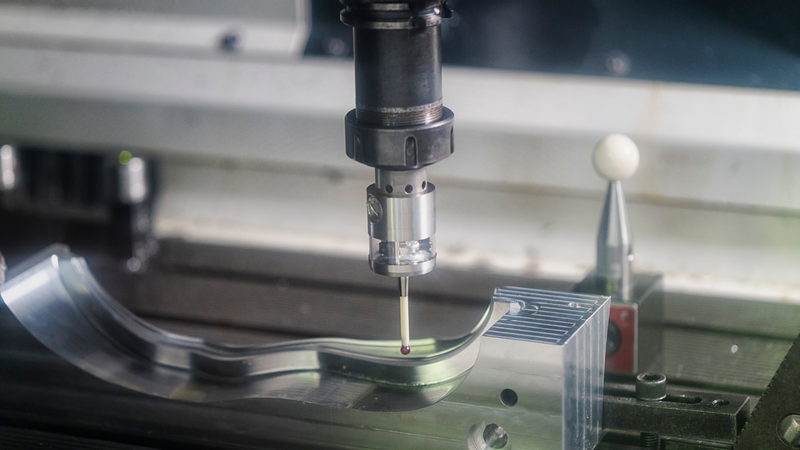 If one is left-brained with a technical background, we are just as able to get into the mess that is manufacturing and lead with the right decision matrices. What are some of the main challenges for women working in manufacturing today? NM: The degrees that are required to lead in manufacturing are still heavily dominated by men. As such, women are outnumbered. The perception can sometimes be that we do not know what we are talking about. However, that is quickly overcome with consistent leadership and technical skills. Once you have proven yourself as a sound technical mind along with leadership skills, the sky’s the limit. Are you personally involved in any initiatives or programs to overcome these challenges? Can you provide more details? NM: I donate to the Women’s Engineering Fund as well as speak at a few career lunches, science classes, or general engineering lessons from elementary to middle school in our local school system. This encourages young children and girls that we can do any career since they are seeing me live it. It also promotes awareness in the industry and engineering for those students. What skills do you feel are the most critical to succeeding in manufacturing today? NM: Decisiveness and authority. Being that women are outnumbered, you must be able to hold your ground, to speak intelligently and with authority when required. "Knowledge over all other things is the most important skill a woman can have in manufacturing"
NM: Do not speak just to be heard, but speak to provide benefit for the conversation. Do not be afraid to be wrong. Embrace all sides of yourself by putting it out there to see how you can help the company. Always “dress” for the next level of your employment. This doesn’t mean taking control, but if you are stepping up to the plate every time and correctly, the promotion will be yours. What advice do you have for fellow women already working in manufacturing? PB: My advice would be, continue educating yourself, continue to be heard, but also be a good listener. A lot of what I have learned through the years is from listening to and watching others who have been in the industry longer than I have been. What advice would you give to a woman thinking about entering the manufacturing field for the first time? NM: Learn the details of the process. Contemplate what excites you and what scares you about it. In the end, if you love what you do, it is not work. Manufacturing is stressful. At the end of the day, a product is put together. If you enjoy that portion of it and the manufacturing process excites you, go for it. PB: I would tell her manufacturing is a fun industry to be in. There are so many opportunities, and don’t let the appearance of it being primarily male dominated to discourage her. I would tell her to be confident in her knowledge, her skills and be open to learning from those around her. Being a team player not only helps in educating oneself but it also allows her to show what she has to offer to others.